10/25/11 Surogate Judge Edward W. McCarfty gave us an overview of the jury system as well as the history of Bellerose. A great talk enjoyed by all. 10/11/11 Jacki Yonick gave an inspiring power point presentation on Rotary Youth Leadership Acedemy which will take place March, 23-25, 2012. 09/27/11 Tom Lai, Information Technologist and Web Designer spoke about "The Cloud" and how it can benefit us all. 08/09/11 Lou Falco, Vietnam Veteran and President of the Rotary Club of Glenn Cove spoke of Rotary initiatives for Returning Veterans. A packed house at Fiore's Restaurant were treated to a great speach by Lou Falco. He discussed initiatives for returning Iraq and Afganistan vets including: job creaation, new careers and a whole host of resources outlined in a special booklet available at www.rotary7255.org listed under Veterans Projects, Operation Initiative. For an article form the Floral Park Dispatch about Lou's presentation please click here. 07/26/11 Rod Zuch, Founder of The Morgan Center for children suffering froom cancer, discussed how the center was founded. 05/24/11 Karen Suero from Camp Pa-Qua-Tuck gave us a presentation on this amazing camp for special needs children. Located on the shores of Kaler's Pond, Center Moriches, NY, this summer camp is geared for children with special needs. Over 37 acres provide campers with boating, fishing, a petting zoo, campfires, horticulture, sports activities, songfests, nature walks, talent shows, field trips and more. The camp is a structured and compassionate environment which broadens the horizons of the campers. 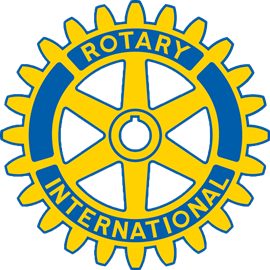 It is run by the Rotary Club of Center Moriches enhancing the lives of thousands of youngsters since 1946. For more information go to www.camppaquatuck.org or call 631-878-1070.